Two Texas County jail employees have been fired after an inmate accused in a killing escaped. 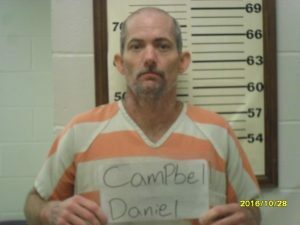 Daniel Campbell ran out through an open door after a correctional officer let him out of his cell to use the phone on Nov. 14. The door was open at the time while some construction work was being done at the facility. Texas County sheriff James Sigman says proper protocol was not followed. The inmate, who is accused in the October shooting death of Billy Bishop of Licking, was found the next day after an intense manhunt.